With the release of the new trailer for Star Wars: The Last Jedi earlier this week comes a whole new wave of excitement for the film. Now that tickets are on sale, it's time to decide when, where, and how you'll be seeing the film for the first (and second, and third) time. Arguably one of the best ways to experience Star Wars on the big screen is seeing it on the biggest screen; IMAX. 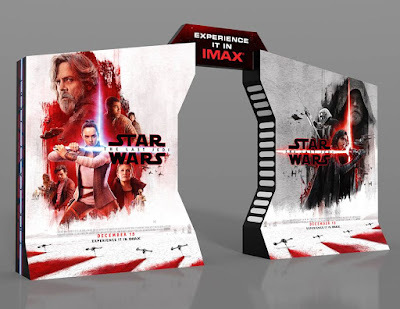 Also at select theaters, IMAX will be hosting special opening nigh fan events, as well as double feature screenings of The Force Awakens and The Last Jedi back-to-back, and 70MM showings of The Last Jedi where it's available. It's also worth noting that many theaters are already offering IMAX screenings of The Last Jedi in 2D, as well as 3D. 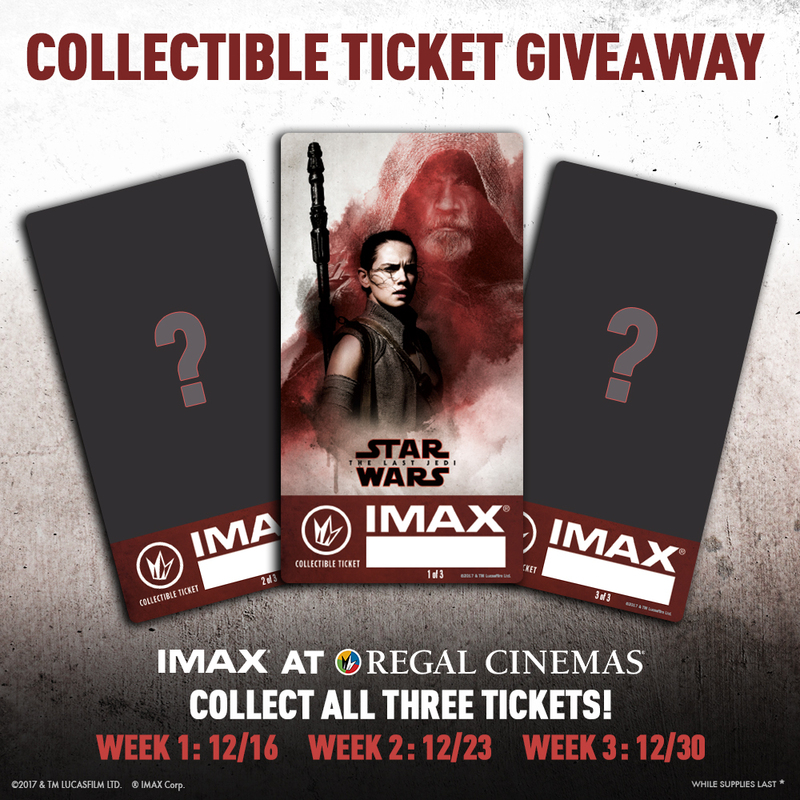 Previously, for The Force Awakens and Rogue One, 3D IMAX was the only option in most cases. You can learn more by visiting the official IMAX site. 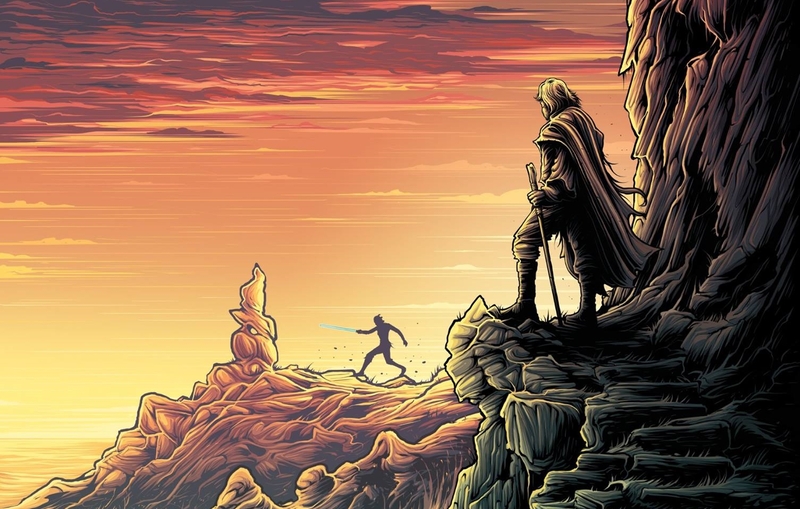 Star Wars: The Last Jedi will be available to view on screens of all sizes starting on December 15th! Probably just screaming into the void on this subject here, on twitter, elsewhere, but boy, I sure am disappointed in the marathon situation for this movie. 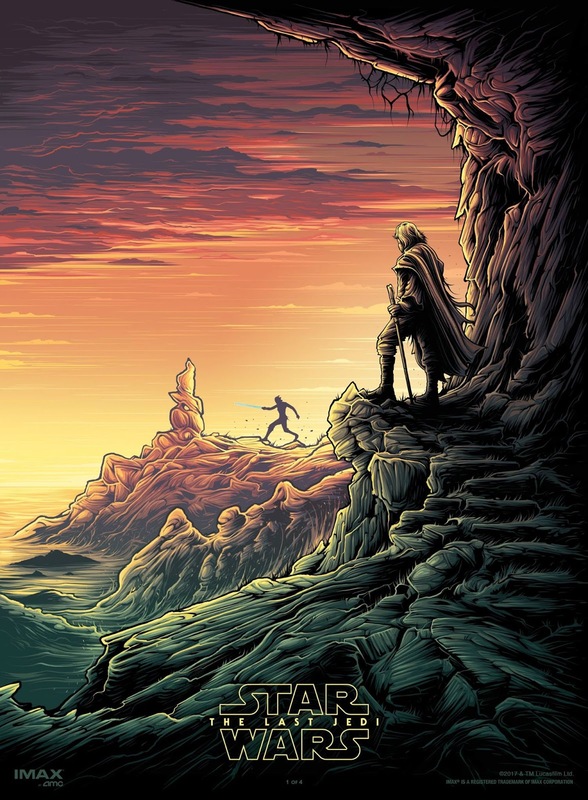 It's reasonable to expect that it would be more limited than the TFA rollout, but a TLJ 8 Movie Marathon in ONLY 3 cities? I don't get it. They're letting some perfectly good money slip through their fingers.